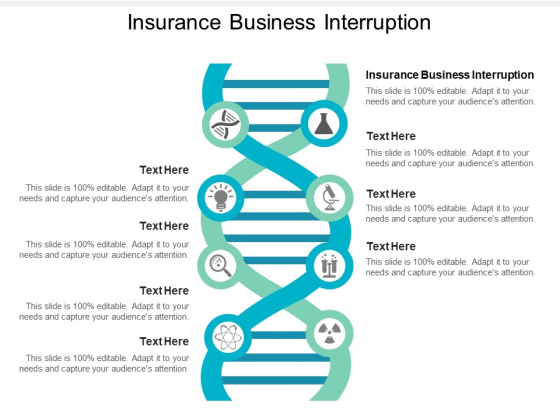 This is a insurance business interruption ppt powerpoint presentationmodel brochure cpb. This is a eight stage process. The stages in this process are insurance business interruption. Enter into a dialogue with our Insurance Business Interruption Ppt PowerPoint Presentationmodel Brochure Cpb. Begin to have a fruitful discussion. This is a common reasons that small businesses fail ppt powerpoint presentation infographic template aids. This is a eight stage process. The stages in this process are business failure, unsuccessful business, business non success. 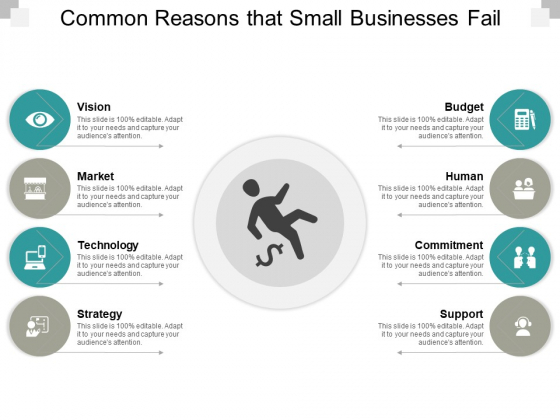 Deliver growth on a platter with our Common Reasons That Small Businesses Fail Ppt PowerPoint Presentation Infographic Template Aids. You will come out on top. 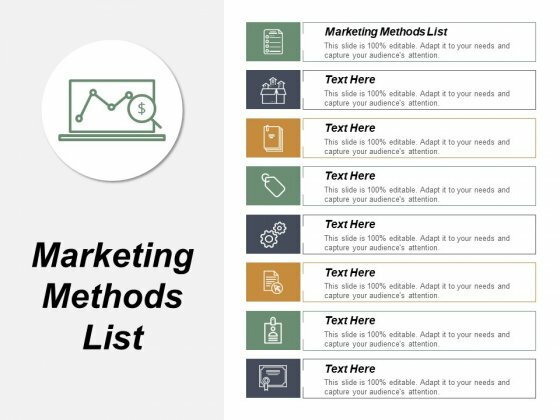 This is a marketing methods list ppt powerpoint presentation layouts elements cpb. This is a eight stage process. 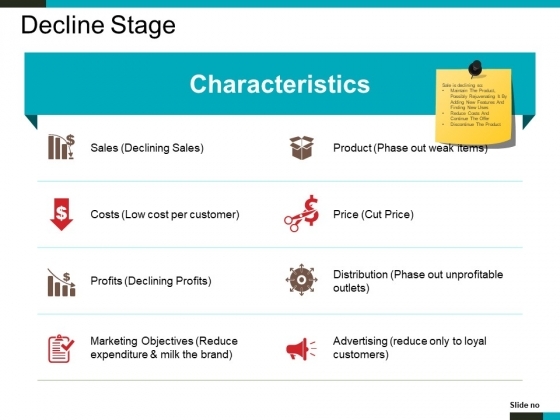 The stages in this process are marketing methods list. Appear like a genius with our Marketing Methods List Ppt PowerPoint Presentation Layouts Elements Cpb. You will come out on top. This is a heart rate white pulse line on red heart symbol ppt powerpoint presentation professional example. This is a eight stage process. The stages in this process are health, heartbeat, pulse. 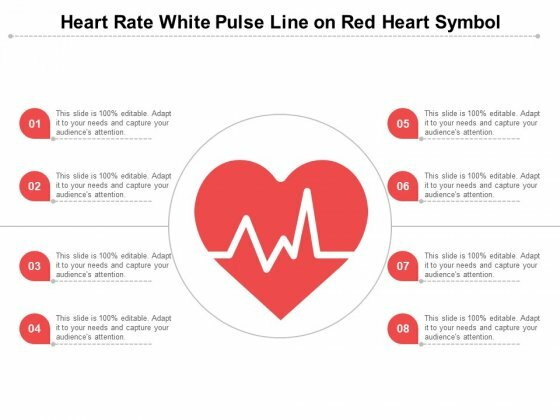 Form plans with our Heart Rate White Pulse Line On Red Heart Symbol Ppt PowerPoint Presentation Professional Example. Download without worries with our money back guaranteee. 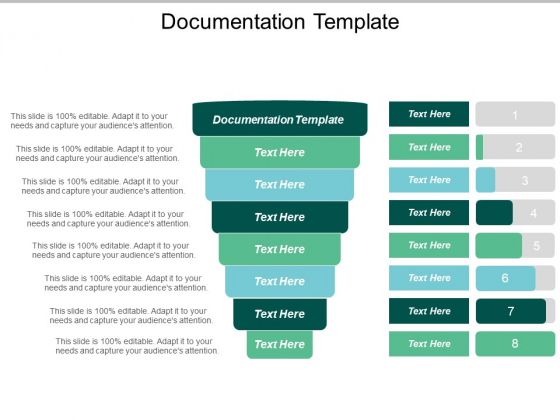 This is a documentation template ppt powerpoint presentation gallery inspiration cpb. This is a eight stage process. The stages in this process are documentation template. 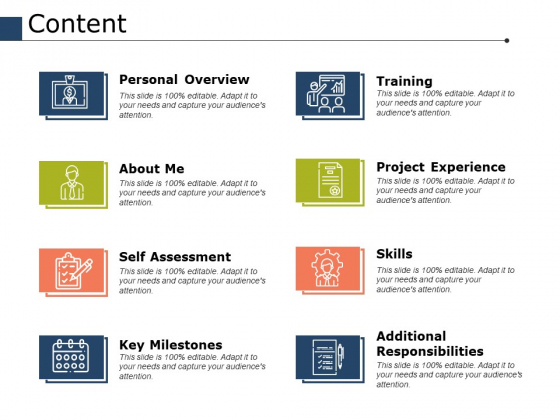 Get people to listen with our Documentation Template Ppt PowerPoint Presentation Gallery Inspiration Cpb. You will come out on top. 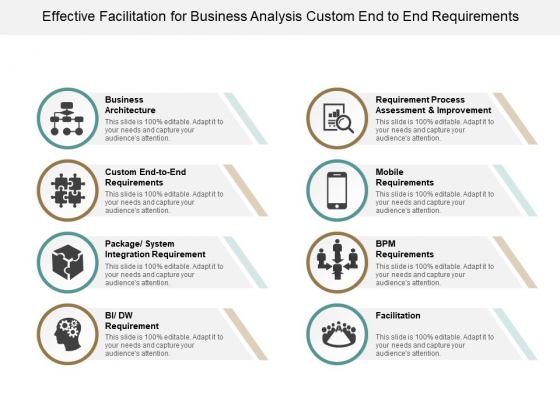 This is a effective facilitation for business analysis custom end to end requirements ppt powerpoint presentation infographic template inspiration. This is a eight stage process. The stages in this process are business requirements, business needs, company requirements, organization requirements. Create a favourable climate with our Effective Facilitation For Business Analysis Custom End To End Requirements Ppt Powerpoint Presentation Infographic Template Inspiration. The audience will display their appreciation. 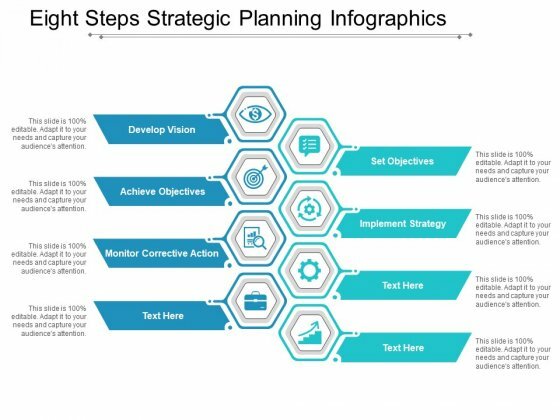 This is a eight steps strategic planning infographics ppt powerpoint presentation layouts design inspiration. This is a eight stage process. The stages in this process are executive plan, executive strategy, executive approach. Advise folks on lodges with our Eight Steps Strategic Planning Infographics Ppt Powerpoint Presentation Layouts Design Inspiration. Enable them to locate comfortable accommodation. 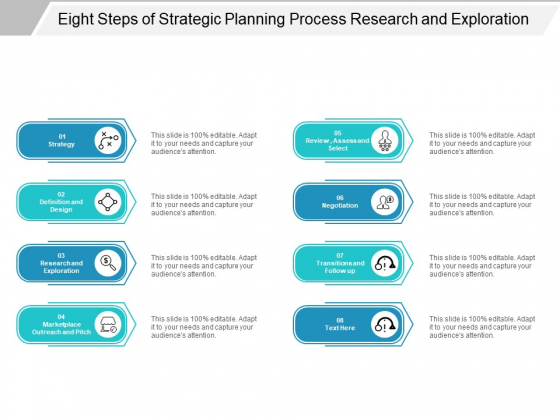 This is a eight steps of strategic planning process research and exploration ppt powerpoint presentation professional elements. This is a eight stage process. The stages in this process are executive plan, executive strategy, executive approach. 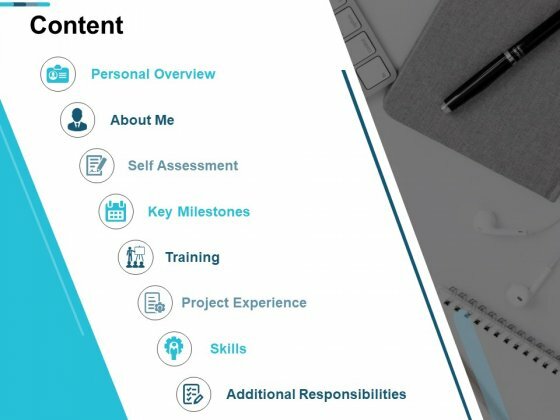 Investigate lodged complaints with our Eight Steps Of Strategic Planning Process Research And Exploration Ppt Powerpoint Presentation Professional Elements. Find out how the grievances arose. This is a market analysis summary with icons ppt powerpoint presentation layouts topics. This is a eight stage process. The stages in this process are executive summary, analysis summary, review summary. Our Market Analysis Summary With Icons Ppt Powerpoint Presentation Layouts Topics enable folks to know your choice. Be able to demonstrate your liking. 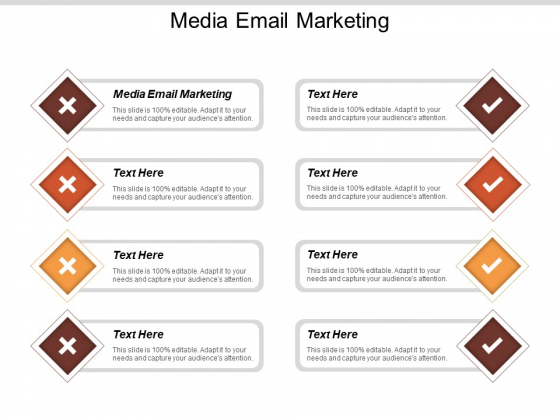 This is a media email marketing ppt powerpoint presentation inspiration elements cpb. This is a eight stage process. The stages in this process are media email marketing. Fill their brains with important information through our Media Email Marketing Ppt PowerPoint Presentation Inspiration Elements Cpb. Be able to load folks with knowledge. 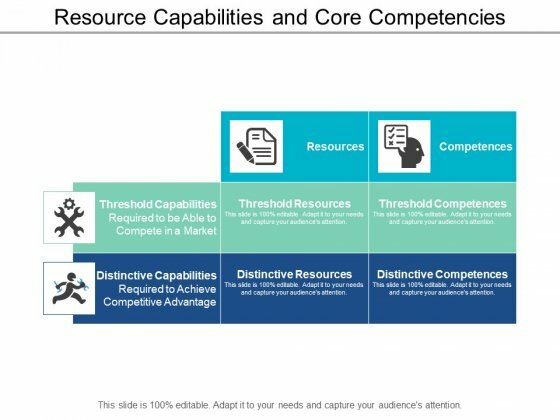 This is a resource capabilities and core competencies ppt powerpoint presentation pictures graphic images. This is a eight stage process. The stages in this process are distinctive capabilities, distinctive abilities, distinctive potential. Assess liquid assets with our Resource Capabilities And Core Competencies Ppt Powerpoint Presentation Pictures Graphic Images. Figure out how to finance the effort. 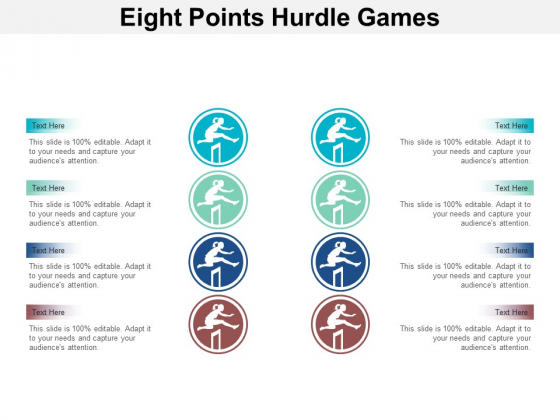 This is a eight points hurdle games ppt powerpoint presentation infographic template maker. This is a eight stage process. The stages in this process are hurdles, challenges, problems. Give folks cause to be loyal with our Eight Points Hurdle Games Ppt PowerPoint Presentation Infographic Template Maker. Build allegiance to the country. 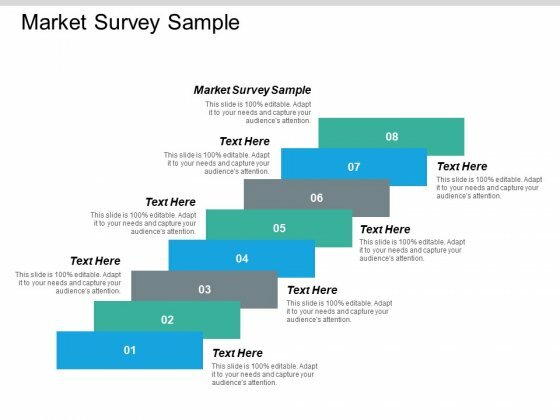 This is a market survey sample ppt powerpoint presentation styles show cpb. This is a eight stage process. The stages in this process are market survey sample. Accelerate success with our Market Survey Sample Ppt PowerPoint Presentation Styles Show Cpb. Download without worries with our money back guaranteee. 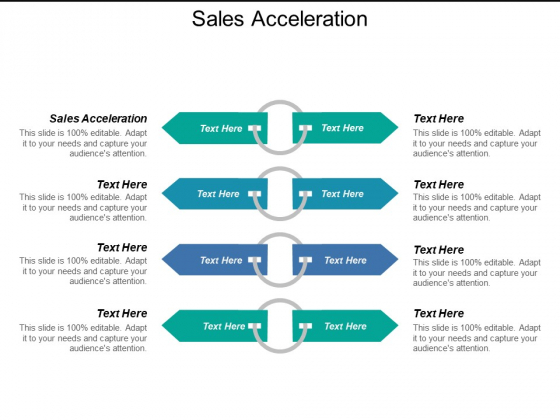 This is a sales acceleration ppt powerpoint presentation file tips cpb. This is a eight stage process. The stages in this process are sales acceleration, business, management, marketing. Our Sales Acceleration Ppt PowerPoint Presentation File Tips Cpb are products of detailed craftsmanship. They are exact in every aspect. 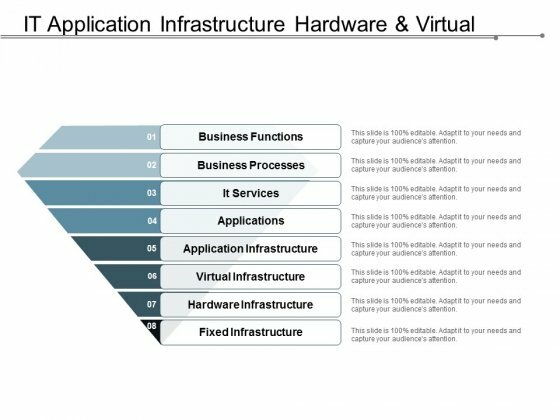 This is a it application infrastructure hardware and virtual ppt powerpoint presentation slides vector. This is a eight stage process. The stages in this process are osi model, technology layers, internetworking layer. Be atypical with our It Application Infrastructure Hardware And Virtual Ppt PowerPoint Presentation Slides Vector. Sometimes it's better not to confirm. This is a software testing process v model ppt powerpoint presentation icon inspiration. This is a eight stage process. The stages in this process are quality assurance, quality analysis, qa, testing process, bugs analysis. Conquer fatigue with our Software Testing Process V Model Ppt PowerPoint Presentation Icon Inspiration. They are like a deep breath. This is a management process people decision and evaluation ppt powerpoint presentation infographic template diagrams. This is a eight stage process. 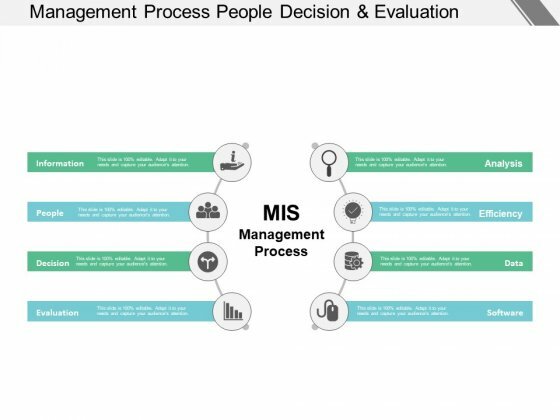 The stages in this process are management information system, mis, decision making system. Our Management Process People Decision And Evaluation Ppt PowerPoint Presentation Infographic Template Diagrams are cent per cent adaptable. They conform to all conditions. This is a content personal overview ppt powerpoint presentation professional designs. This is a eight stage process. The stages in this process are personal overview, about me, key milestones, project experience, training, skills. Our Content Personal Overview Ppt PowerPoint Presentation Professional Designs see it through your eyes. They agree with the basis of your assessment. This is a content about me ppt powerpoint presentation ideas skills. This is a eight stage process. The stages in this process are personal overview, self assessment, key milestones, project experience, skills. Expand on your theory with our Content About Me Ppt PowerPoint Presentation Ideas Skills. Establish the cause of your confidence. 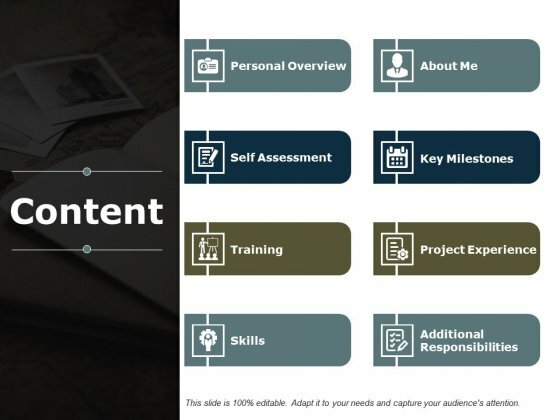 This is a content ppt powerpoint presentation infographic template grid. This is a eight stage process. The stages in this process are self assessment, project experience, personal overview. 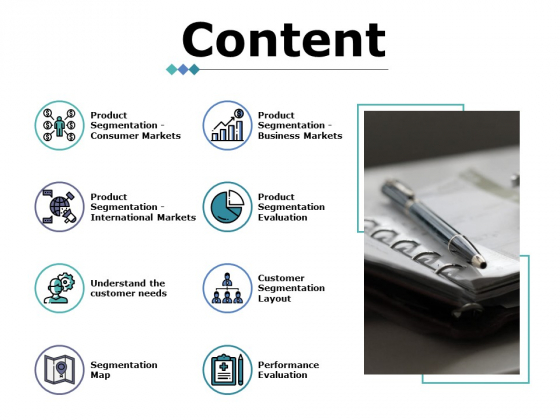 Our Content Ppt PowerPoint Presentation Infographic Template Grid need no explanation. They are really simple to comprehend. This is a employee benefits perks and bonuses ppt powerpoint presentation model master slide. This is a eight stage process. The stages in this process are paid vacation, employees allowance, perks and bonuses, achievement award, health insurance. Discuss the list with our Employee Benefits Perks And Bonuses Ppt PowerPoint Presentation Model Master Slide. Decide on issues deserving greater attention. 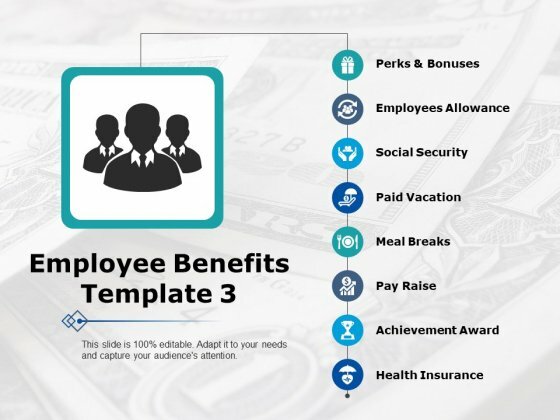 This is a employee benefits pay vacation ppt powerpoint presentation infographic template shapes. This is a eight stage process. The stages in this process are employee benefit, health insurance, social security, achievement award, management. Insist on discussing all important issues with our Employee Benefits Pay Vacation Ppt PowerPoint Presentation Infographic Template Shapes. Be able to attend to the list. 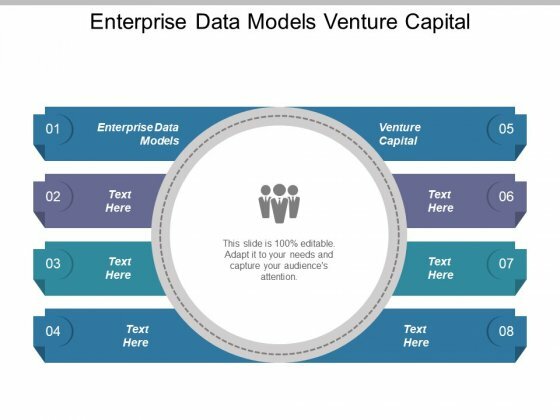 This is a enterprise data models venture capital ppt powerpoint presentation pictures backgrounds. This is a eight stage process. The stages in this process are enterprise data models, venture capital. Craft plans with our Enterprise Data Models Venture Capital Ppt PowerPoint Presentation Pictures Backgrounds. Download without worries with our money back guaranteee. This is a contingency plan introduction ppt powerpoint presentation inspiration graphic images. This is a eight stage process. The stages in this process are section, description, introduction, response plans, incident topology. Build on your charisma with our Contingency Plan Introduction Ppt PowerPoint Presentation Inspiration Graphic Images. Create a definite aura around you. 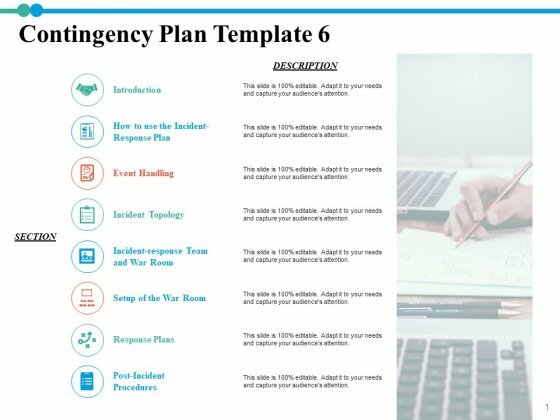 This is a contingency plan response plans ppt powerpoint presentation portfolio templates. This is eight stage process. The stages in this process are incident topology, response plans, post-incident procedures, event handling. Entice listeners both near and far. 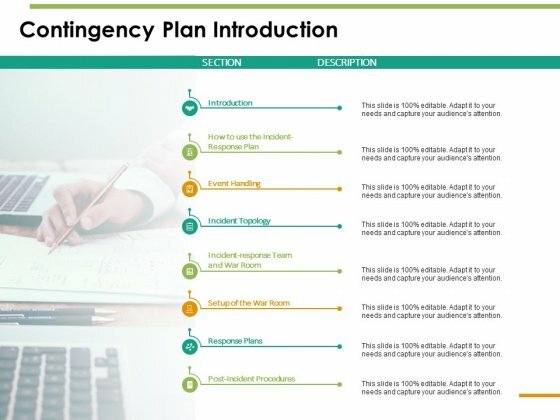 Our Contingency Plan Response Plans Ppt PowerPoint Presentation Portfolio Templates have an alluring effect. This is a customers credit steps ppt powerpoint presentation model template. This is a eight stage process. The stages in this process are credit control, credit process, credit evaluation. 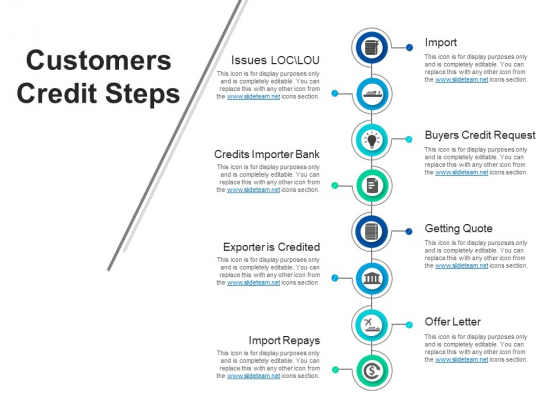 Balance it out with our Customers Credit Steps Ppt PowerPoint Presentation Model Template. Your suggestions will maintain the equilibrium. This is a deadly wastes services sector ppt powerpoint presentation pictures files. This is a eight stage process. The stages in this process are waiting, over production, transport, inventory, motion. Ensure the loyal get the credit with our Deadly Wastes Services Sector Ppt PowerPoint Presentation Pictures Files. Insist on their devotion being duly appreciated. 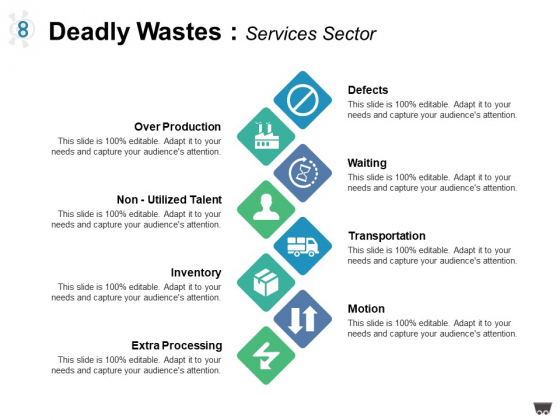 This is a deadly wastes lean downtime ppt powerpoint presentation slides objects. This is a eight stage process. The stages in this process are waiting, over production, transport, inventory, motion. 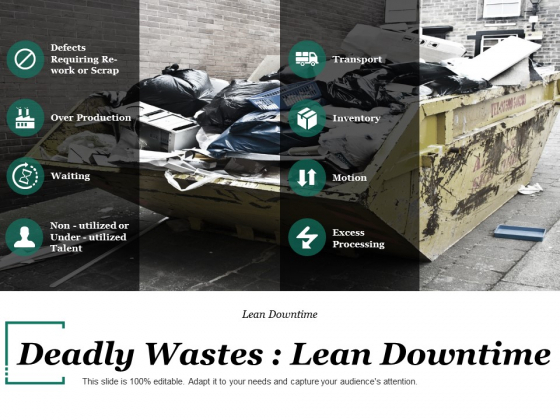 Give the loyal due credit with our Deadly Wastes Lean Downtime Ppt PowerPoint Presentation Slides Objects. Commend them for a high level of dedication. This is a performance based appraisal parameters ppt powerpoint presentation inspiration file formats. This is a eight stage process. The stages in this process are base salary, plan components, component weight, plan mechanic, performance period. 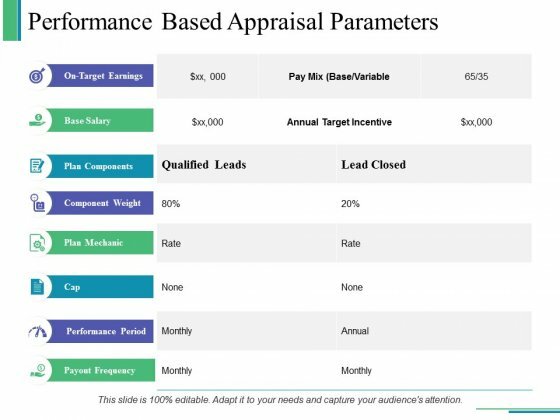 Build a group of dedicated individuals with our Performance Based Appraisal Parameters Ppt PowerPoint Presentation Inspiration File Formats. Be able to attract loyal followers. 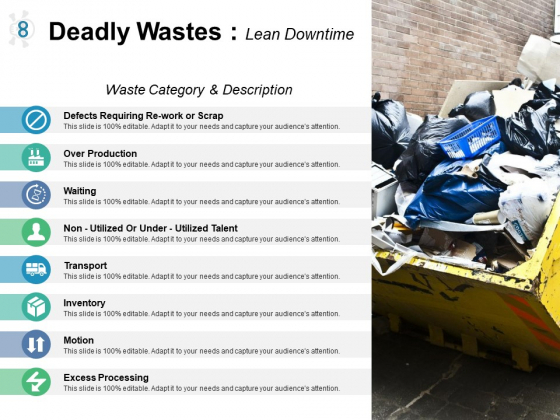 This is a deadly wastes lean downtime ppt powerpoint presentation outline show. This is a eight stage process. The stages in this process are motion, inventory, transport, over production, waiting. Folks get converted into loyal followers by our Deadly Wastes Lean Downtime Ppt PowerPoint Presentation Outline Show. They become loyal fans. 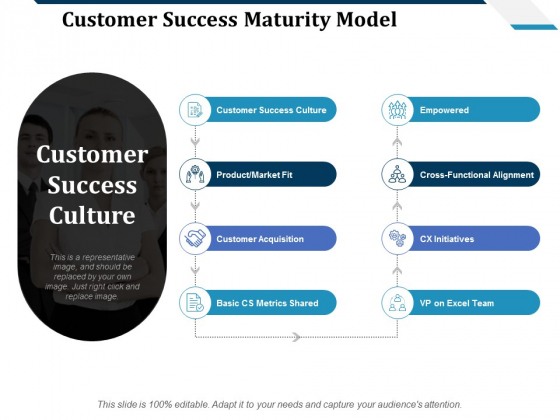 This is a customer success maturity model ppt powerpoint presentation show templates. This is a eight stage process. The stages in this process are customer success culture, empowered, customer acquisition, basic cs metrics shared, vp on excel team. 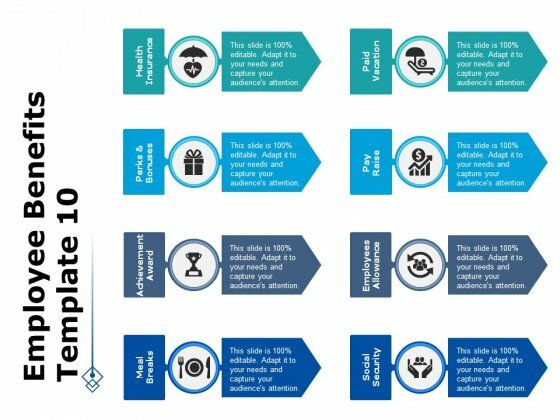 Analyse errors to ensure improvement with our Customer Success Maturity Model Ppt PowerPoint Presentation Show Templates. It helps you learn from the lows. This is a content ppt powerpoint presentation pictures icon. This is a eight stage process. The stages in this process are understand the customer needs, customer segmentation layout, segmentation map, performance evaluation, market segmentation evaluation. Get the lowdown from our Content Ppt PowerPoint Presentation Pictures Icon. Get acquainted with every little detail. This is a content ppt powerpoint presentation portfolio example. This is a eight stage process. 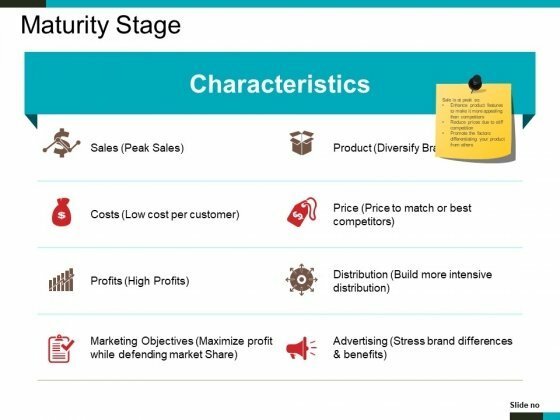 The stages in this process are product segmentation evaluation, understand the customer needs, customer segmentation layout, segmentation map, performance evaluation. Complete your presentation in time with our Content Ppt PowerPoint Presentation Portfolio Example. You will come out on top. This is a technology intellectual property template 2 ppt powerpoint presentation layouts portfolio. This is a eight stage process. The stages in this process are business, marketing, management, planning, intellectual property. Create desires anew with our Technology Intellectual Property Template 2 Ppt PowerPoint Presentation Layouts Portfolio. Evoke a need for greater achievement. 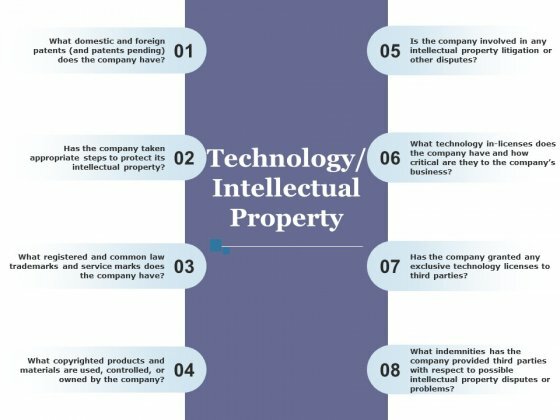 This is a technology intellectual property template 2 ppt powerpoint presentation infographics outfit. This is a eight stage process. The stages in this process are business, marketing, management, planning, technology. 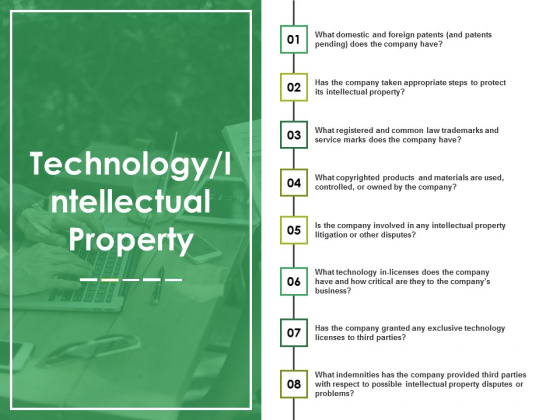 Exercise your mind with our Technology Intellectual Property Template 2 Ppt PowerPoint Presentation Infographics Outfit. Pump the cells and generate ideas. 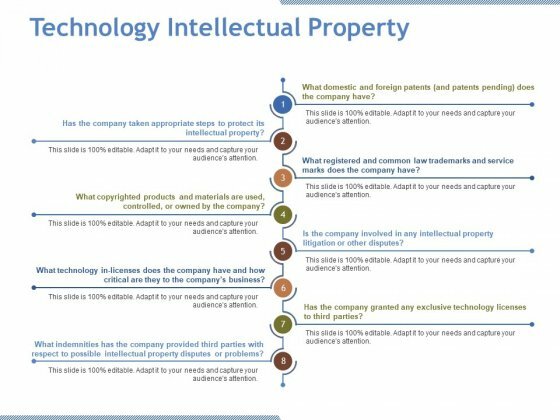 This is a technology intellectual property template 1 ppt powerpoint presentation ideas graphic images. This is a eight stage process. The stages in this process are business, management, marketing, step, numbering. Folks get to know of your deep devotion due to our Technology Intellectual Property Template 1 Ppt PowerPoint Presentation Ideas Graphic Images. It becomes clear that you are loyal. This is a maturity stage ppt powerpoint presentation gallery backgrounds. This is a eight stage process. The stages in this process are costs, sales, marketing objectives, distribution, advertising. Get your fill of applause with our Maturity Stage Ppt PowerPoint Presentation Gallery Backgrounds. The claps will just continue to come. This is a decline stage ppt powerpoint presentation layouts model. This is a eight stage process. The stages in this process are costs, sales, marketing objectives, distribution, advertising. Putit on our Decline Stage Ppt PowerPoint Presentation Layouts Model. It's as good as putting it on file. This is a kotters 8 step change model ppt powerpoint presentation pictures background image. This is a eight stage process. The stages in this process are make it stick, build on the change, create quick wins, empower action, communicate the vision. 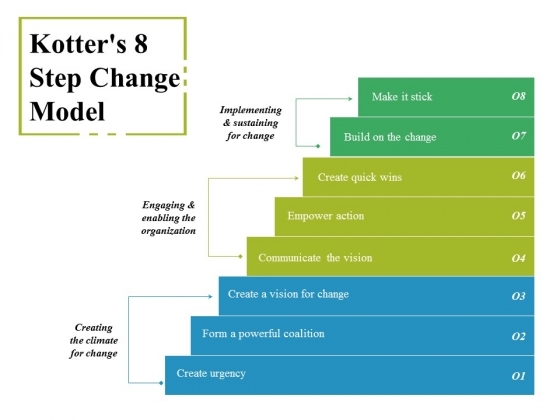 Excite your audience with our Kotters 8 Step Change Model Ppt PowerPoint Presentation Pictures Background Image. You will come out on top. This is a inventory icons ppt powerpoint presentation portfolio design ideas. This is a eight stage process. The stages in this process are talent, inventory, motion, waiting, transportation. Begin with a bang with our Inventory Icons Ppt PowerPoint Presentation Portfolio Design Ideas. Explode off the blocks with your thoughts. This is a marketing strategy ppt powerpoint presentation layouts good. This is a eight stage process. 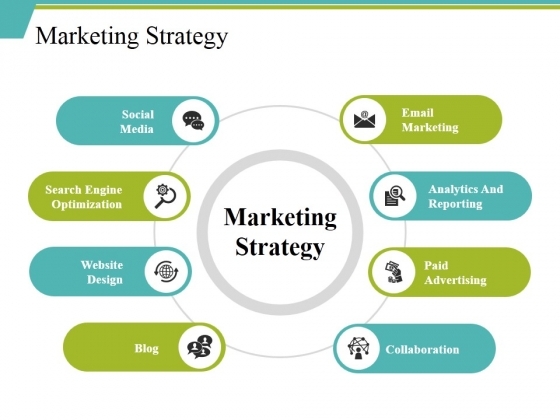 The stages in this process are social media, marketing strategy, blog, collaboration, website design. Evoke compassion with our Marketing Strategy Ppt PowerPoint Presentation Layouts Good. They will want to believe in Father Christmas. 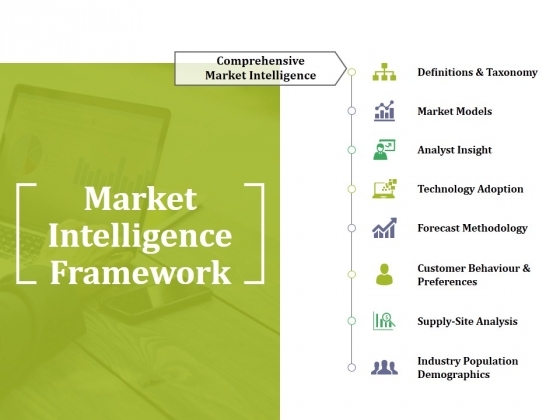 This is a market intelligence framework ppt powerpoint presentation file mockup. This is a eight stage process. The stages in this process are market models, analyst insight, technology adoption, forecast methodology, supply site analysis. Do not go purely by the face value of our Market Intelligence Framework Ppt PowerPoint Presentation File Mockup. Dwell on them and you will discover lot's more. This is a maturity stage ppt powerpoint presentation gallery inspiration. This is a eight stage process. 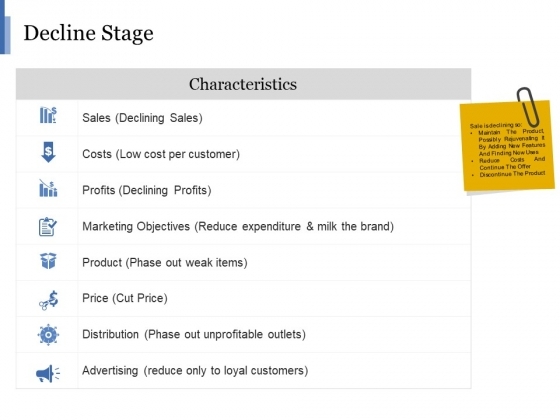 The stages in this process are sales, costs, profits, marketing objectives, product, price. Aspire to any fancy with our Maturity Stage Ppt PowerPoint Presentation Gallery Inspiration. Put your thoughts in creative mode. 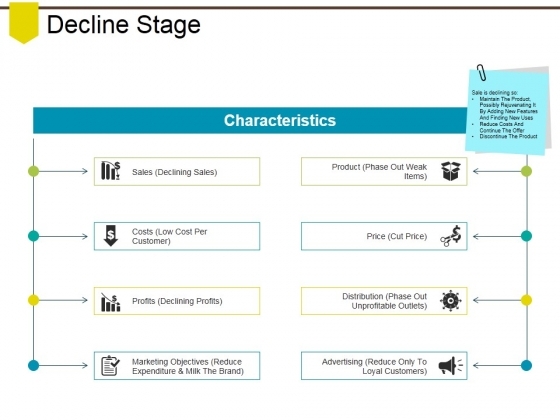 This is a decline stage ppt powerpoint presentation summary infographic template. This is a eight stage process. The stages in this process are sales, product, costs, price, profits. Advertise the efficiency of your factory. 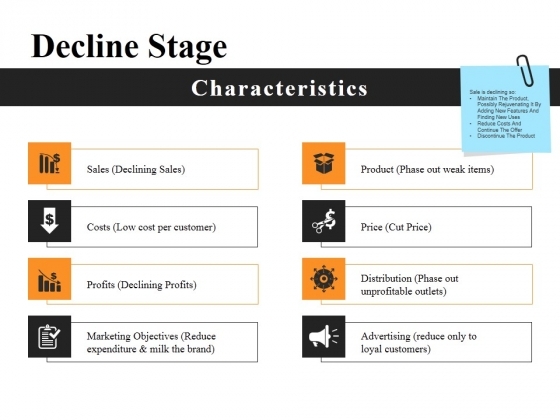 Educate likely clients with our Decline Stage Ppt PowerPoint Presentation Summary Infographic Template. This is a maturity stage ppt powerpoint presentation ideas visuals. This is a eight stage process. The stages in this process are sales, product, costs, price, profits. The environment deserves constant attention. Keep an eye through our Maturity Stage Ppt PowerPoint Presentation Ideas Visuals. This is a maturity stage ppt powerpoint presentation slides. This is a eight stage process. 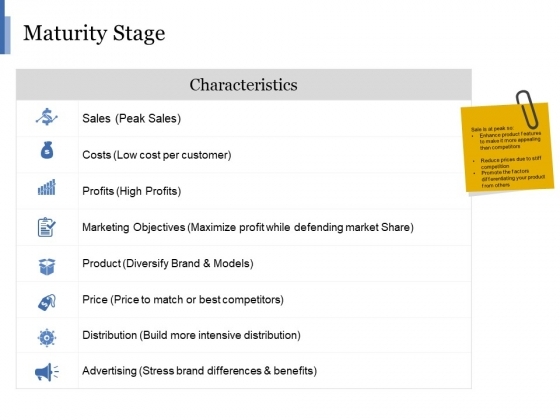 The stages in this process are sales, costs, profits, price, distribution. 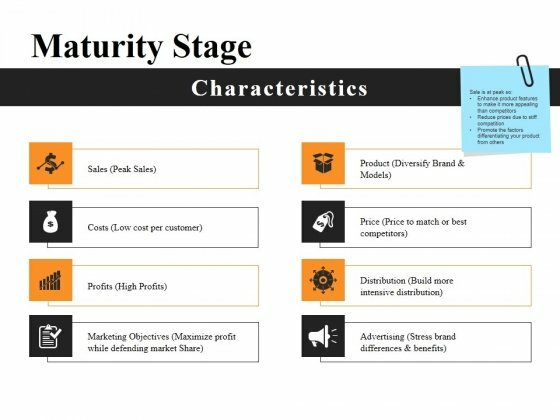 Change the face of your environment with our Maturity Stage Ppt PowerPoint Presentation Slides. Bring in exciting changes with your ideas. This is a decline stage ppt powerpoint presentation inspiration master slide. This is a eight stage process. The stages in this process are sales, costs, profits, product, price. Dwell on your argument with our Decline Stage Ppt PowerPoint Presentation Inspiration Master Slide. Your audience will see eye to eye with you. This is a decline stage ppt powerpoint presentation gallery tips. This is a eight stage process. 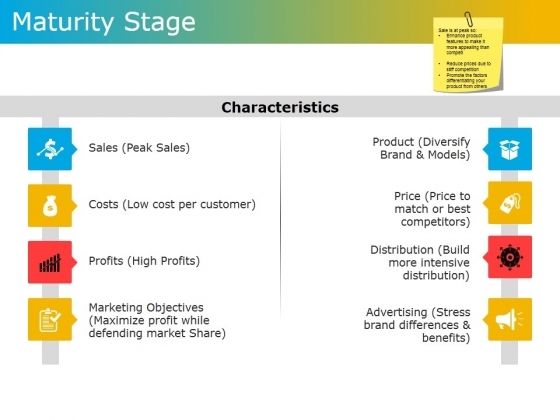 The stages in this process are characteristics, sales, costs, profits, marketing objectives. Dwell on your exploits with our Decline Stage Ppt PowerPoint Presentation Gallery Tips. Bring out the courage of your actions. 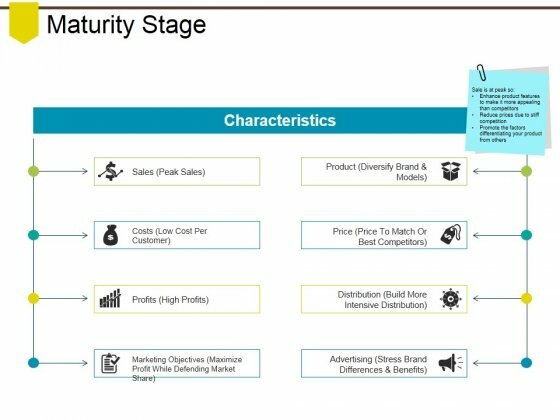 This is a maturity stage ppt powerpoint presentation model templates. This is a eight stage process. 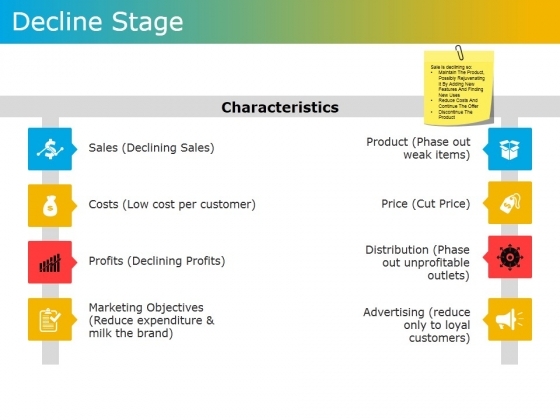 The stages in this process are sales, product, costs, price, profits. Exhibit your talent with our Maturity Stage Ppt PowerPoint Presentation Model Templates. Let the audience see your dexterity. This is a decline stage ppt powerpoint presentation show graphics example. This is a three stage process. The stages in this process are sales, product, costs, price, profits. Substantiate your exposition with our Decline Stage Ppt PowerPoint Presentation Show Graphics Example. They will strengthen the effect of your effort.